Writing a new blog post or bidding on keywords is easy, but how can you be sure that you’re doing things right? 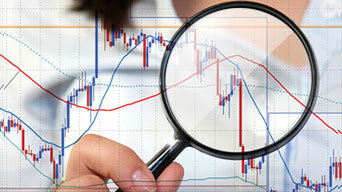 The answer lies in key performance indicators (KPIs). When you want to trump the competition online, you have to harness these important metrics to boost your online presence. In SEO, there are three main KPI categories you should closely observe: traffic, rankings, and conversions. Now, you would have to use different tools to access these data. From there on, the metrics become more specific, which gives you more details on how your marketing efforts impact your site. The first KPI you should measure is the kind of traffic your website attracts. You have to look at two core aspects of this metric: the volume and the quality of traffic. The former is easy enough to understand. This KPI records the number of visits and sessions on your website. It also covers the source of your traffic, be it through organic search, social media links, or direct visits. When you have an active SEO strategy, you should gauge your traffic volume to see whether or not you have increased the number of organic visits within its time frame. Do note that traffic volume is highly dependent on your site’s target audience. Logically, websites with local SEO campaigns would have a smaller user base to cater to. Hence, the large difference in the number of visitors when compared to larger websites. The case of traffic quality is trickier. Here, it’s important to analyze the traffic your site attracts. This is where you have to factor in the way your visitors consume your content. Ergo, some metrics to observe here are page views, the average time visitors spend on a particular page, and your bounce rate. If you notice that a certain page has a high bounce rate and a low average time spent per visit, there might be something wrong with that part of your site. It could signify that the content lacks meat, or that the keywords don’t match what’s posted online. There are different possible scenarios, and it’s up to you to find out where your site is lacking. Perhaps keyword rankings are your first thought upon hearing “SEO KPIs” – and you’re right, this is an important area you shouldn’t miss out on. After all, ranking on top of the SERPs provides your site a higher click-through rate. A comprehensive study published on Moz.com shows that websites on the first page of the SERPs gain the highest traffic share and click-through rates. The circa 2014 figures show that websites on the first to fifth spots of the results pages amass an impressive 67.6% click-through rate. For this reason, you have to track the rankings of your keywords over time. This will help you detect which phrases need more attention and yield the most returns. At the same time, it also allows you to detect which keywords are too competitive to pay attention to, where the cost outweighs the benefits. All in all, keeping tabs on the rankings helps you find out where you should devote your resources. Last but not the least, you have to look at conversions. Now, a conversion isn’t always a sale – it could be a lead, a subscription, or whatever it is that your business aims for. Ergo, conversions could come in the form of downloads, quote requests, appointment schedules, phone calls, subscriptions, and purchases. What matters here is that you have an idea where the conversion came from. Did the conversion come from organic search or elsewhere? Looking at this would tell you which keyword was responsible for the sale or download. Google Analytics has a way of recording a site’s conversion rate, but there are also third-party applications that can do the same. There are many ways to track your site’s progress in these KPIs. Your website’s dashboard, for instance, already has a few analytics you could check now and then for traffic statistics. Google’s tools are also useful — Google Analytics, Google AdWords and Google Webmaster Tools — all of which your site should make full use of, especially if you want to rank as high as possible in the SERPs. Other than Google, you can also try Siteoscope.com, which has useful web analytics tools you could use to keep track of these KPIs. Remember that when it comes to metrics, you can’t just wing it. You have to look at the number from all possible sources and angles. You have to carefully analyze the data to know where your site stands in the digital landscape. KPIs are necessary to gauge how well your marketing efforts are playing out in the grand scheme of the Internet. You need these measurements to know where you need to work on more to fast-track the growth of your business. There may be a lot of work involved, but the end result will always be for your brand’s benefit – and that’s priceless. Justin Rev Ino Tamang is a web content writer of TrueLogic Online Solutions. He has worked on several freelance SEO projects since he was a college freshman. Outside the office, he spends an inordinate amount of time in cinemas and in front of his laptop. He also has an obsession (sometimes to an unhealthy extent) for music, technology, and video games.